Dimensions: 16″ x 16″ x 24″ tall. Made of unfinished 1/2″ CDX plywood. Assembly Required – instructions and screws included. 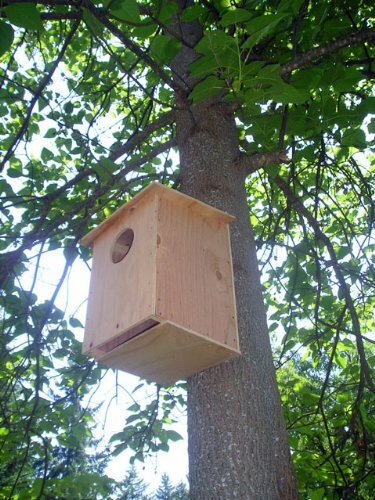 Own the very same nest box favored by professional owl pellet collectors. 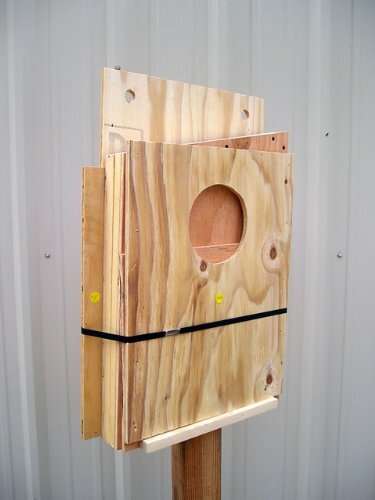 This practical, simple, no-frills box will provide safe housing for nesting owls and year round shelter from predators and the elements. May be installed in barns, silos, trees or on a post. 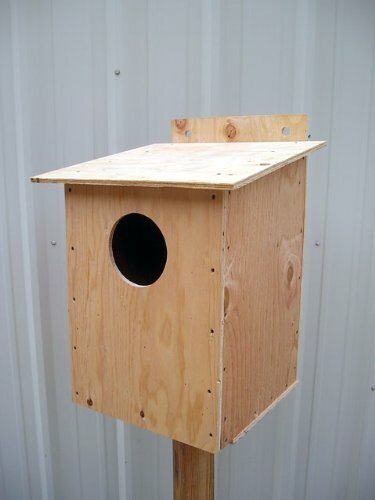 Let a family of these superbly adapted hunters help control your rodents the natural way! Shipped flat, assembly requires just a cordless drill. (A perch is not recommended as it allows predators a staging area to harass young owls inside.) Attention Farmers: For maximum rodent control one box per 10 acres should provide adequate habitat for a healthy populations. Please keep in mind barn owl densities will vary greatly with rodent populations and terrain, so this figure will vary. We can tell you is some of the highest barn owl densities recorded are on palm plantations in Malaysia, where densities reached one pair of owls per 12 acres. The lack of nesting sites is the number one limiting factor of barn owl populations in the wild. Barn owls are not territorial and will share hunting habitat, but they will defend nesting sites. Bottom slot allows the owl to kick out debris. 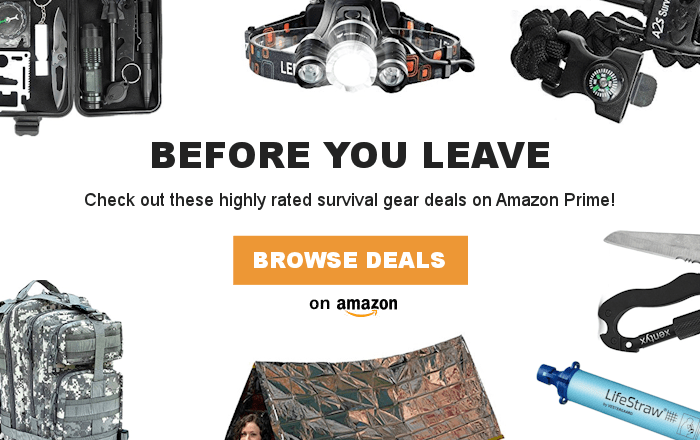 May be mounted with screws, wire or rope.